Super Star Rajinikanth is a humble man and known for the good deeds that he has been doing for people across Tamil Nadu. The actor takes care of his films as well in a similar fashion. He makes sure that everyone associated with his film is in a profitable position, even if the film turns out to be a disaster. 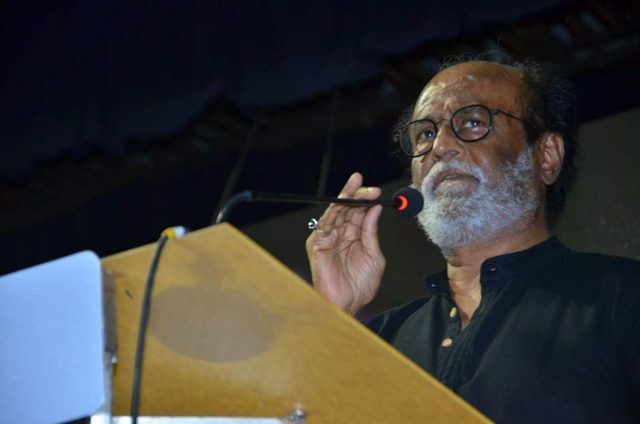 Rajinikanth even settled the losses incurred by distributors for his film Baba and Lingaa. He now has an advice for his distributors and exhibitors. Speaking at the audio launch of Neruppu Da, a Vikram Prabhu production, the Super Star said, “Producers tend to create hype to promote their product. A distributor or an exhibitor shouldn’t get carried away by the business tactics of a producer. They should consult veterans in the field before purchasing a film — they should ensure that the numbers for which they buy a film are affordable for them. They should be in a safe zone. It is unfair to cry foul when the figures do not meet your expectations after purchasing a film for a heavy price.” This comes after an audio clip of distributor-exhibitor Tirupur Subramaniam went viral. The clip has Subramaniam saying that several films including Kabali were claimed as highly successful ventures by the producers but they were all disasters in reality. 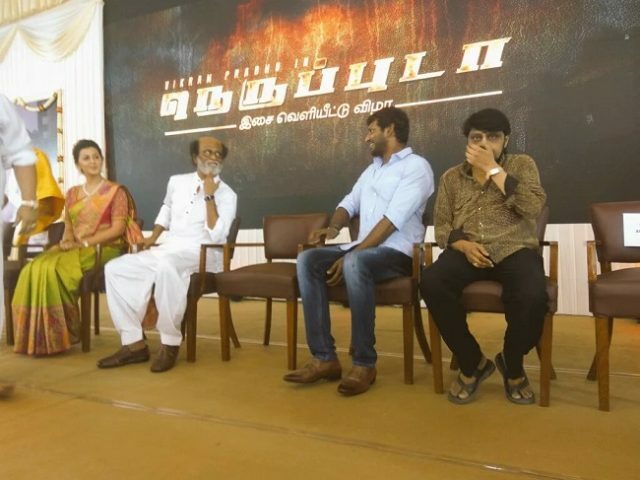 Rajinikanth also praised actor Vishal for his efforts as the president of Tamil Film Producers Council and the excellent work he is doing to protect the interests of Tamil cinema.